Bijlmer Euro » Bijlmer Euro in the media! Bijlmer Euro in the media! The Bijlmer Euro is a complimentary local currency for South East of Amsterdam which creates economic benefits for local people, inspires social connections and builds a complex network identity for the Bijlmer. 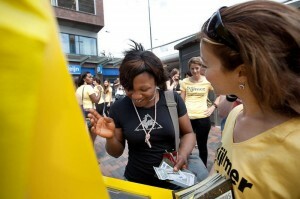 There are 2000 Bijlmer Euro notes that can be used at 17 participating local shops to get special discounts. 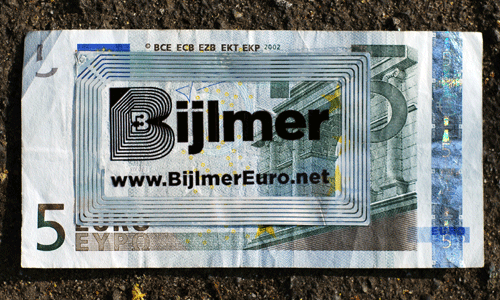 Each Bijlmer Euro has a unique electronic chip which means you can see where they are being used. Take a look at the visualisation HERE. The launch of the Bijlmer Euro on the 8th July was a great success and we had lots of media coverage on television, radio and the Internet!